I have lots of fabric scraps and so I sat down to make this headband. I only made one so I can see if I need to change anything before I make more. 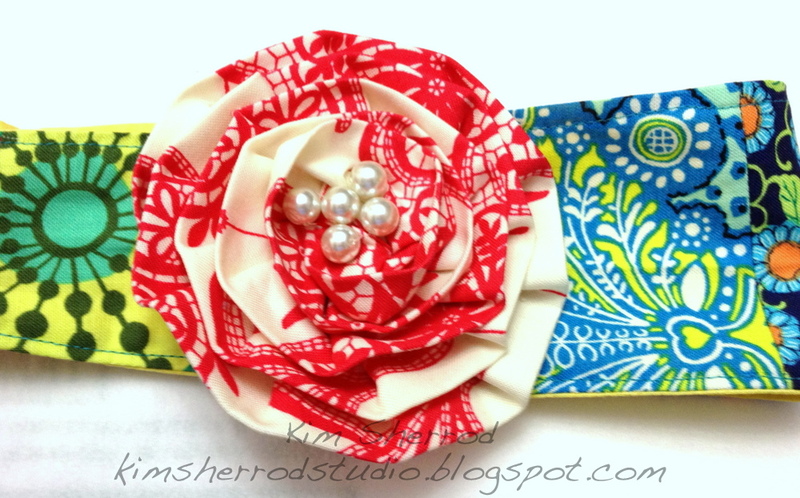 The headband and flower was really quick to make and the flower took one 2 1/2" strip of fabric. I created some pleats before I made the flower. It's permanently attached to the headband. I am going to make some more flowers and turn them into hair clips so I can use up the hair clips I bought a few months ago. Very cute Kim, you are so creative. I LOVE tbe flower, too.